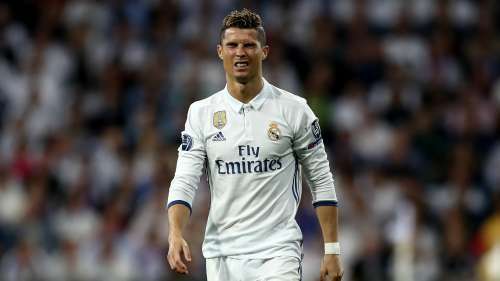 Florentino Perez has stressed Cristiano Ronaldo will only leave Real Madrid if a club matches his €1billion buyout clause and has slammed those who have called the Portugal international "a delinquent" following his tax issues. Prosecutors in Madrid recently filed a complaint to a court in Pozuelo de Alarcon that accused the four-time Ballon d'Or winner of a "voluntary" and "conscious" breach of his tax obligations, claiming the 32-year-old created a "business structure" in 2010 to conceal earnings from image rights between 2011 and 2014, thus defrauding the Spanish tax authorities out of €14.7million. The complaint was quickly followed by reports that Ronaldo has decided to leave Madrid ahead of next season following his tax problems, but Perez is adamant the prolific forward will only be on the move for a huge transfer fee. "I have not talked with him yet, but I will talk with him in the upcoming days. But he has a €1billion exit clause. Unless someone is willing to pay that, he will not leave," Perez told Onda Cero. "This is all very strange. I will defend him as a player and as a human being. I know Cristiano and he is a good guy, both as a professional and a person. What people cannot do is talk about him like he is a delinquent, that bothers me and is hurtful. "I do not know his tax situation very well. I can only say that we all have to fulfil our obligations when it comes to taxes. But I have no doubts about Cristiano. What I have been told is that he is using the same corporate structure that he used in the UK and there were no problems there. "Cristiano is not angry about who pays the fine. He has always wanted to comply with the rules. "We released a statement to show him our support. There is nothing Real Madrid have to do now. Cristiano will have to fulfil his fiscal obligations. There is a solution for everything." 5 Cristiano Ronaldo moments a fan can never forget.